Veterans of the Armed Forces are at a high risk of developing substance use disorders, or SUDs. This includes alcohol and drug addictions. If you are a veteran or you have a loved one who is a veteran, you may be facing one of your hardest battles. 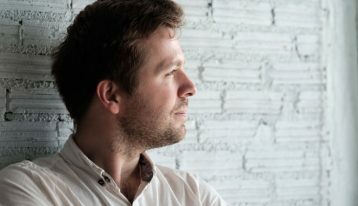 Addiction in veterans occurs for many reasons, but for those who seek help through detox and therapy, it may be possible to restore a higher quality of life. Why Do Veterans Suffer High Rates of Alcohol and Drug Addiction? Military veterans face physical and mental health concerns. They may struggle with physical disabilities upon their return. They face incredible challenges while deployed, often developing conditions such as post-traumatic stress disorder (PTSD), which makes them vulnerable to the development of addictive behaviors. The National Veterans Foundation notes that today’s wars, which are long-term and ongoing, are vastly different from wars just a few decades ago. Today, the psychological impact of the war on terror has left many men and women battling both emotionally and physically for their lives. Many of these men and women try to self-medicate to handle the pain or emotional toll they’ve experienced. This is one of the reasons many struggle with opioid or other pain medication addictions. The National Institutes of Health notes that over 65 percent of veterans have pain three months after deployment with 9 percent reporting severe pain. To deal with the emotional impact, some turn to alcohol and other drugs. According to additional NIH research, both men and women struggle from episodic drinking and smoking, though SUDs are more common in men than women. The misuse of prescription drugs is another key area for women and men struggling with addiction after deployment. From 2001 through 2009, the Department of Veterans Affairs issued a significant number of additional opioid prescriptions than previously. During this timeframe, prescriptions for opioids grew from 17 percent to 24 percent. Veterans suffering physical pain as well as mental health issues, such as PTSD, were more likely to receive an opioid prescription such as hydrocodone, oxycodone, or codeine during this timeframe, according to one study. What Can Be Done to Help Veterans? Though the Department of Veterans Affairs offers treatment programs and has scaled back prescriptions of highly addictive opioids, those who are already facing addiction need help. Generally speaking, more preventative screening can help avoid these concerns. But, the use of residential treatment programs may be one of the best ways to treat individuals who are already facing life-altering addiction. Individuals facing opioid or severe alcohol addiction may require detoxification as a first step in treatment. During this program, individuals are monitored from a medical standpoint as their body works through the withdrawal symptoms. This process helps to break the body’s physical addition to the drug or alcohol itself. This is best done in an addiction treatment center. Many men and women benefit from one-on-one psychotherapy to enable them to understand why they are using drugs or alcohol. In this setting, it is safe to discuss concerns about military experiences, day-to-day life, and the challenges of PTSD. Many times, this type of therapy will focus on overcoming mental health concerns related to addiction. The pain veterans feel after returning from a deployment is very real and while pain medications can mask this, dealing with chronic and sometimes debilitating pain is very challenging. However, chronic pain rehabilitation programs may be available to help some veterans to overcome these challenges. These programs include physical rehabilitation, but also may include meditation, yoga, and holistic treatments designed to reduce the implications of pain. 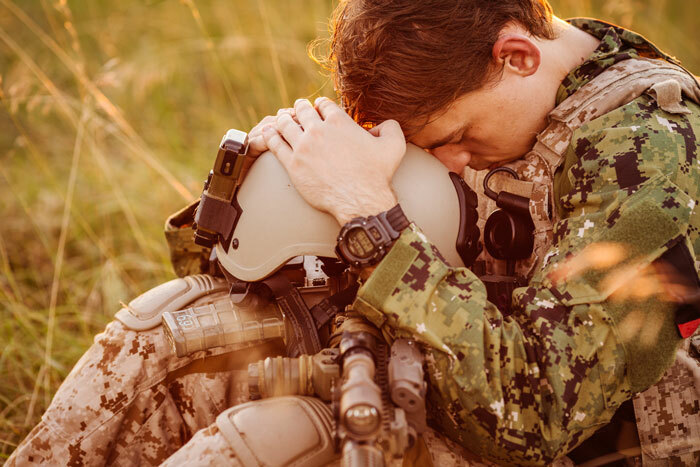 Whether you are feeling unable to move past your current struggles or your loved one is battling very real demons from their military experiences, it is important to take the first step through a phone call for help. At The Ranch at Dove Tree, our residential treatment programs and detox programs can provide the life-saving and life-changing tools necessary to overcome these addictions. To learn more about our programs at Ranch at Dove Tree, including inpatient addiction treatment in West Texas, please contact us today at 800.218.6727.